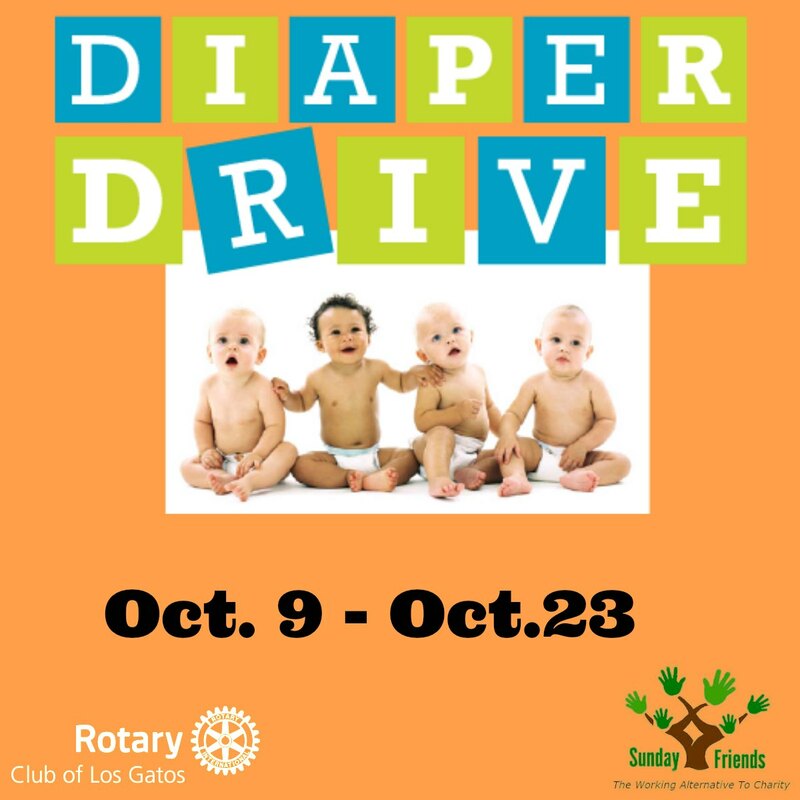 Bring Diapers or check payable to Sunday Friends for the next 3 club meetings. Can't make it to a meeting? Contact Patti and she will come to you to pick up diapers or a donation. Wipes are also greatly appreciated!